Come exhibit at the NMNPC 2019 annual conference at Hotel Albuquerque at Old Town March 31st - April 2nd and get an edge over your competition. Exhibiting at the NMNPC 2019 annual conference enables you to cost-effectively reach NPs in three high-impact days. We sold out of exhibit space at our last conference so don't wait - register now! 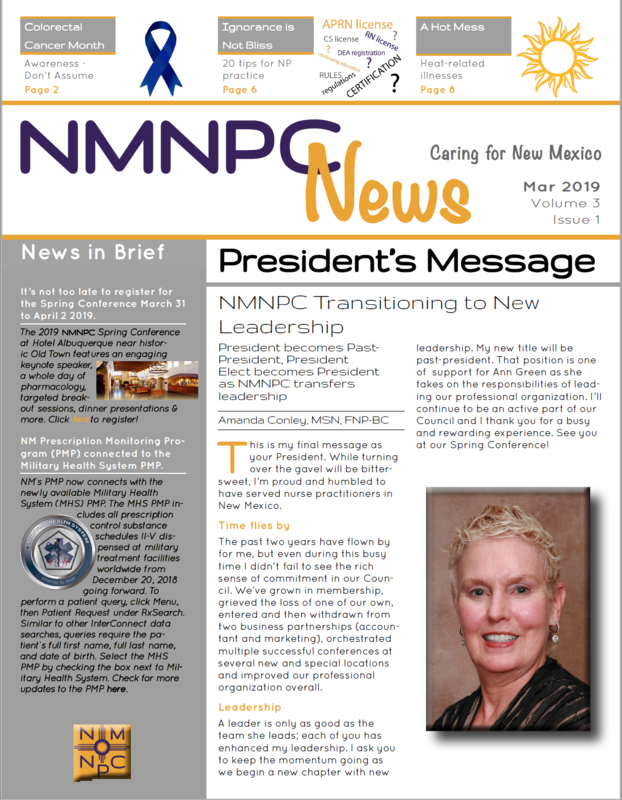 The 2019 NMNPC spring conference will include stimulating continuing education presentations, an opportunity to network and time to enjoy historic Old Town in Albuquerque. Our keynote presentation will be The Economy of Kindness: How Kindness Transforms Your Bottom Line by Linda Cohen, MA. NMNPC reserved a block of rooms at Hotel Albuquerque for conference attendees. The hotel will offer these special rates March 30 through April 3, subject to availability of rooms at the time of reservation. To reserve a room at Hotel Albuquerque, call (866) 505-7829 and ask to be connected to reservations. Make sure to reference the New Mexico Nurse Practitioner Council Annual Conference or click here to book online. Your special room rate is $129/night (plus tax). Note: Please book early to assure room availability and special rate. You must book a reservation prior to March 11, 2019 to receive the special rates. The NMNPC 2019 Spring Conference enables you to cost-effectively reach NPs in three high-impact days. This is an opportunity to reach NPs from around the state in one setting. Includes pharmaceutical companies, professional care specialty practices, medical supply companies, for-profit educational institutions, and other similar organizations. Includes all nonprofit organizations. 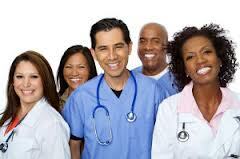 Organizations registering as nonprofits must submit documentation supporting 501c status. Custom insert stuffed into your company tote bag, which are distributed to all registered attendees at check in. Exhibit table for the full 3 day conference. Materials must be created and shipped by the sponsor. Product Theaters are 45-minute sessions that provide a focused, high-value live marketing opportunity for exhibitors to Nurse Practitioners in a pre-scheduled breakfast or lunch. Product Theaters provide a forum to gather and discuss issues on patient education, specific products and therapeutic areas with company representatives or your designees. NMNPC recognizes that Product Theaters will be promotional and may concentrate on a specific product or drug. These sessions are not approved for continuing education credits. Download the preliminary agenda here now. We will continue to update this preliminary schedule as we confirm more details. When available, the final agenda will be available on this page. Download our W9 here. We sold out of exhibit space at our last conference so don't wait - register now!